On September 4th-5th, the Catawba County Health Department hosted the bOHP workshop for the six safety net clinics (Catawba, Macon, Madison and Orange Health Departments, as well as Gaston Family Health Services and the ECU-Elizabeth City Community Learning Center) participating in the collaborative. Each of the clinics participated in a bOHP “pop-up clinic,” providing examinations and consultations for 31 local families and their young children while offering the opportunity for participants to put all of their bOHP learning into practice under the guidance of bOHP expert faculty. The workshop’s focus on bOHP was very well received by participants. "I feel like the program shares information for parents and patients that we, as dental providers, were already addressing, but puts it in a format that is easy to follow and relay to parents," said Dr. Emily Love, Dental Director at the Madison County Dental Center. The collaborative teams will continue to be supported by bOHP faculty as they implement bOHP and increase access to care for young children in their communities. The cohort will also participate in a related innovative access to care program aimed at pregnant women, the Prenatal Oral Health Program (pOHP), beginning in January. The Oral Health Safety Net Collaborative is a unique partnership between CPHQ, the UNC Schools of Dentistry and Medicine, the NC State Industrial Extension Service, the NC Office of Rural Health and Community Care, Piedmont Health Services, and the Blue Cross and Blue Shield of North Carolina Foundation. 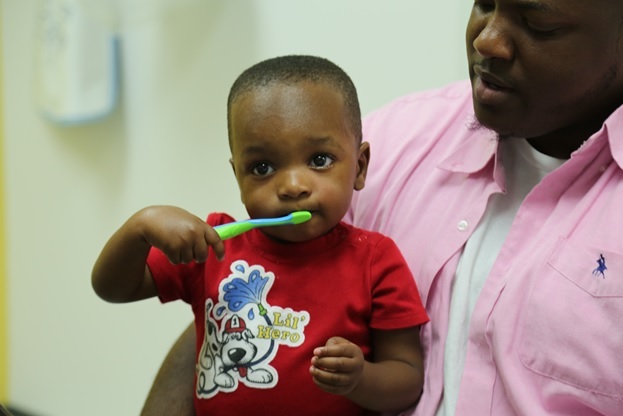 To learn more about the Oral Health Safety Net Collaborative, click here.